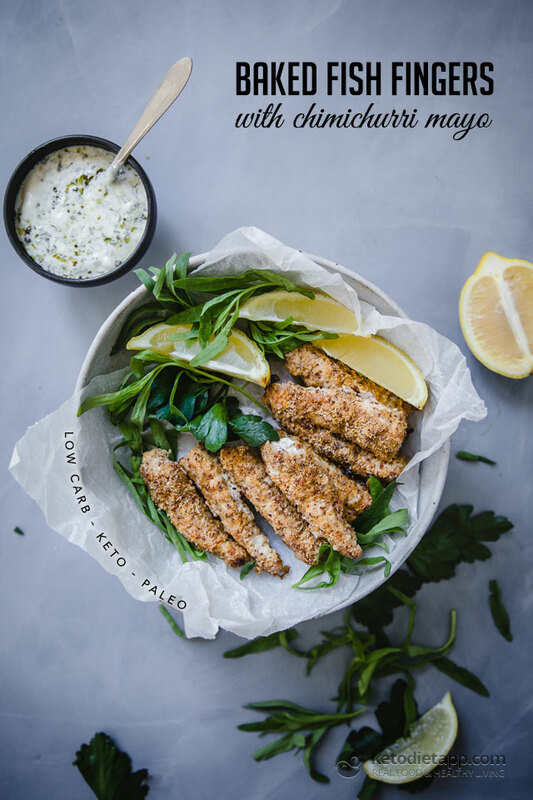 Freshly baked fish has long been a favorite of mine, and these fish fingers are reminiscent of one of my favorite childhood meals, only much tastier and perfect for a keto diet! They taste best fresh out of the oven, with a squeeze of lemon and dunked into this delicious and easy chimichurri mayonnaise. 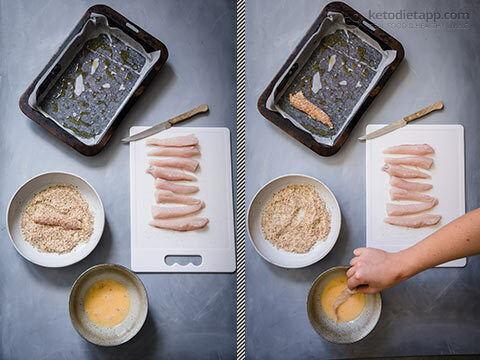 To get a crispier coating, try preheating a heavy based baking tray first before cooking the fish, or transfer them to a hot grill for the last minute of cooking. 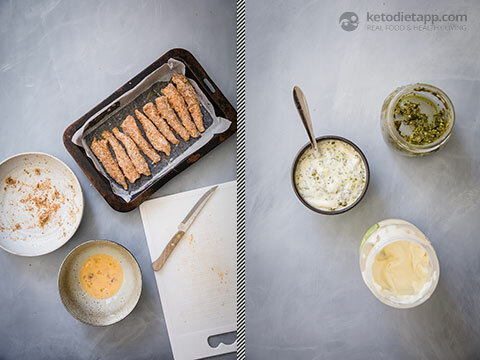 Note: This chimichurri sauce recipe is from The KetoDiet Cookbook and the KetoDiet App. Preheat oven to 210 °C/ 410 °F. Beat egg in a small, shallow bowl. 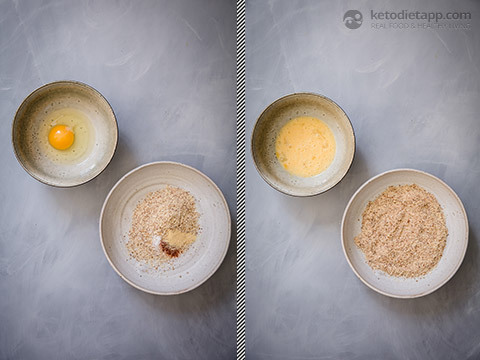 To create the "breading", mix dry ingredients in another shallow bowl or plate. 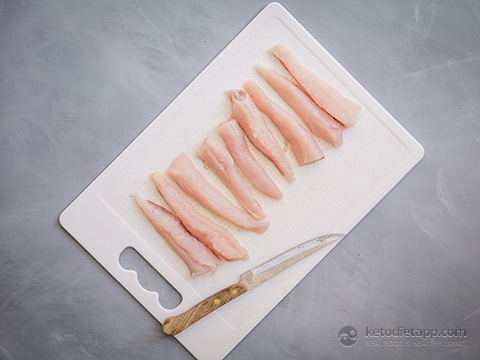 Cut fish fillets into “fingers” about an inch (2.5 cm) wide. Line and grease a baking tray. Place the fish in the egg, coating all sides, and then transfer to the almond meal mix, and toss to cover. Shake off excess breading. Place on the tray, and continue with remaining fish. Bake 6-8 minutes and then turn, and bake another 5 minutes, or until golden brown. To make the chimichurri, place all the ingredients in a blender and process until smooth. To make the chimichurri mayo, combine mayo and chimichurri together in a small bowl. The leftover chimichurri can be refrigerated in an airtight container for up to 1 week. 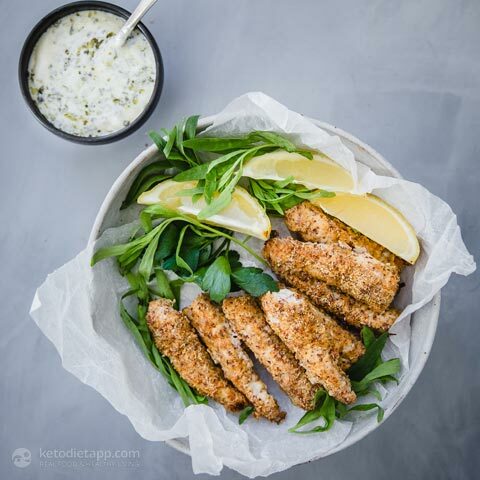 Serve the fish fingers immediately with the mayo and wedges of lemon. 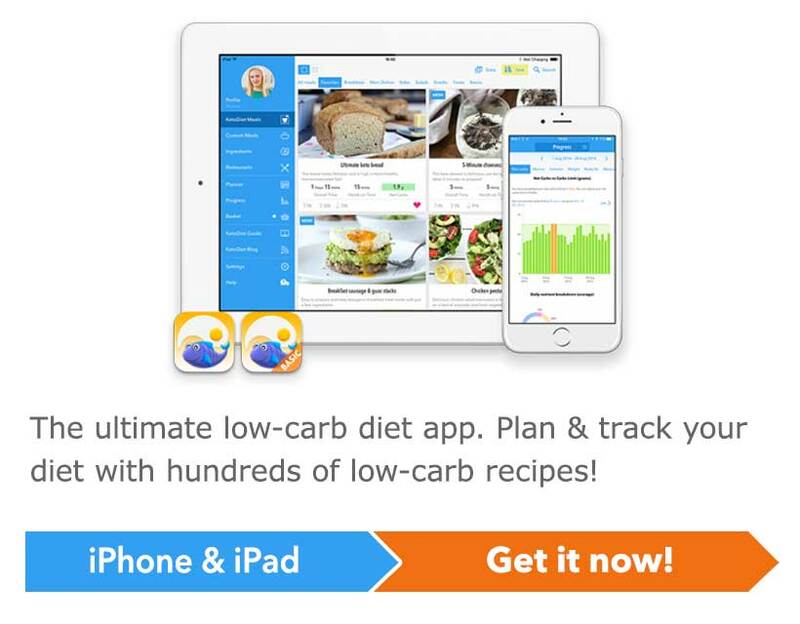 Optionally, serve with a bowl of dressed greens.